Cryptocurrency is a pain to buy. In the developing world, it is nearly impossible. Very few countries in Africa and the Middle East have a cryptocurrency exchange, and the ones that do charge premiums as high as 60% and often don't accept the country's local currency. 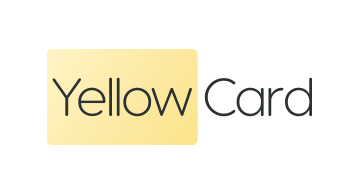 Yellow Card makes cryptocurrency accessible to anyone, anywhere in the world. We distribute our Yellow Gift Card and Vouchers into stores around the world, allowing customers to walk into their local store, buy a Yellow Card Voucher / PIN with cash, redeem the code on yellowcard.io, and then buy Bitcoin, Ethereum, etc. It's store, card, crypto. No banks involved. With an exclusive network of over 160,000 locations in 17 countries across Africa, the Middle East, and the United States, Yellow Card makes it easier than ever for the 4 billion underbanked around the world to access life-changing cryptocurrencies.